Before coming to Wesleyan, I had spent the past two years of my life working to make the New York State Senate less corrupt. In the State Senate, there was a group of eight senators, known as the Independent Democratic Conference (IDC), who were elected as Democrats, but caucused with the Republicans for leadership positions in committees and stipends. At one point, the IDC took control from the Democratic Party, giving Republicans control over the State Senate. The IDC played a major role in New York politics until this spring, when Governor Andrew Cuomo interfered with the conference, shutting the conference down after Cynthia Nixon mounted a progressive challenge against him. Despite this, IDC members continued to receive illegal money and held fundraisers through an IDC fund, causing concern from many progressives like myself across the state. Due to this, I decided to work for a wonderful and talented candidate named Robert Jackson who was challenging a former IDC member named Marisol Alcantara in the Democratic Primary in Northern Manhattan’s 31st State Senate District. I spent a good portion of my summer going to fundraisers across New York City, working on Jackson’s social media presence, and helping to get the vote out for the Thursday, September 13th primary election by campaigning at subway stations at ungodly hours, and I loved nearly every minute of it. 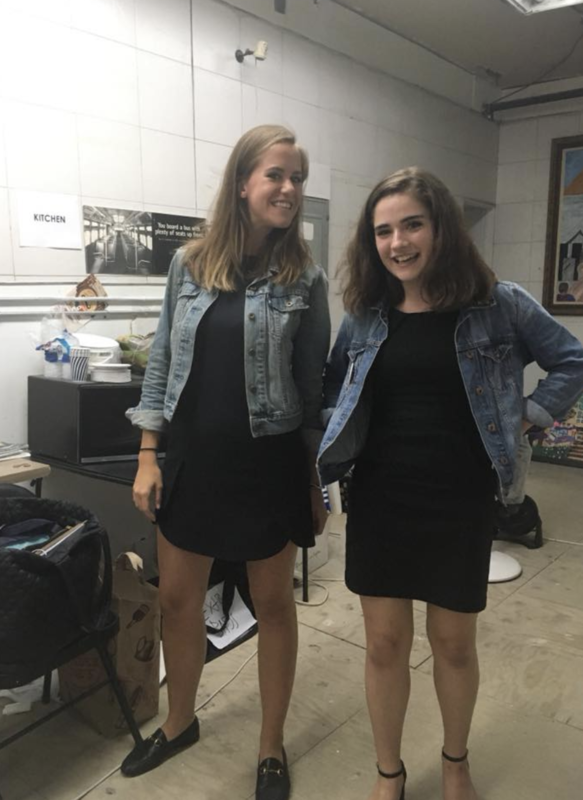 I was lucky enough to work in an office where both the campaign finance director and the campaign manager were women in their early 20s, giving me two incredible role models (and friends), which made the process even better. We were lucky enough to win our primary by a significant margin in September, providing our campaign with a generally direct path to victory. Five other former IDC members also lost their primaries to progressive challengers, shifting the structure of New York State government for years to come. However, the fight for control of the State Senate is not over in New York, as the Republicans still have control of the chamber by a razor thin margin. 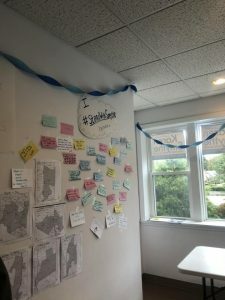 Since Robert is almost certainly going to win the general election, the campaign’s focus has shifted significantly towards helping out campaigns that have the opportunity to shift seats from red to blue. 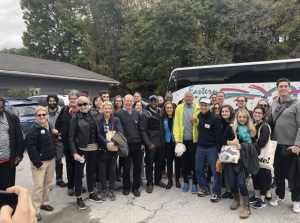 The campaign has been hosting phonebanks and postcard writing sessions for some of these candidates, and on weekends, buses have been chartered to send volunteers to canvass. During my Jewett Center Grant, I got to help out some of these campaigns, which was incredibly exciting. 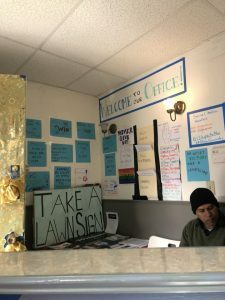 On Friday, I journeyed back to Washington Heights to Jackson’s campaign office, where I helped Jackson’s incredible finance director, Cat Crandall, to assemble and brainstorm community committees that will act to advise Jackson if he is elected to the State Senate. Plus, I got to see some of my former co-workers, which was a wonderful addition. I also helped to look over some of Jackson’s social media, which had been my main role on the campaign before the primary. 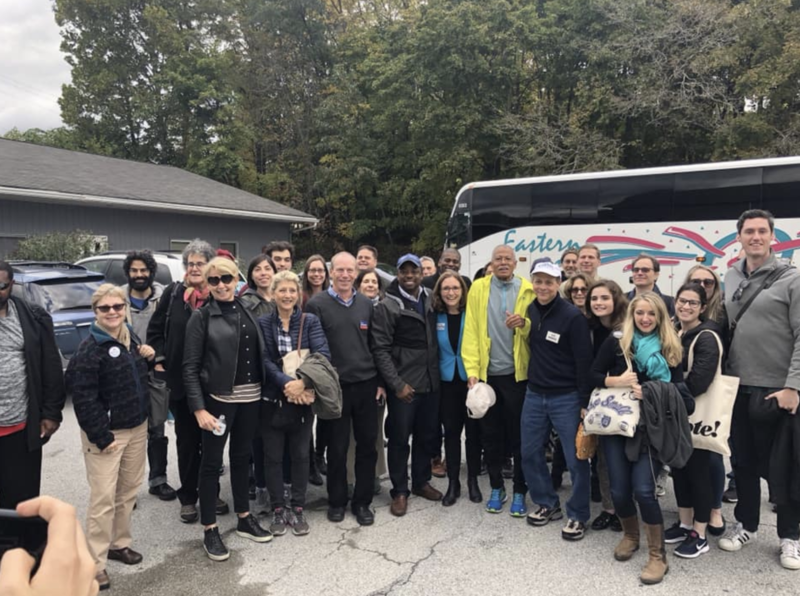 The next day, I got on a bus chartered by Jackson and current Senator Brian Benjamin, who is from Harlem, and travelled up to Hyde Park, NY to help Democratic State Senate candidate Karen Smythe, Congressional candidate Antonio Delgado, and State Assembly candidate Didi Barrett. Smythe and Delgado both are running for seats currently held by Republicans, while Barrett is an incumbent. We got a lovely greeting from Smythe and her campaign, and Benjamin and Jackson both seemed incredibly enthusiastic about her candidacy. 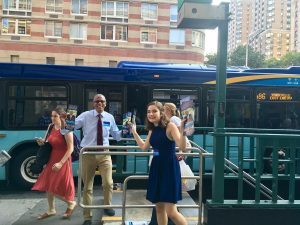 Once we were canvassing, it was really interesting to see how large the turfs for canvassing were upstate; door knocking in New York City certainly required less walking! 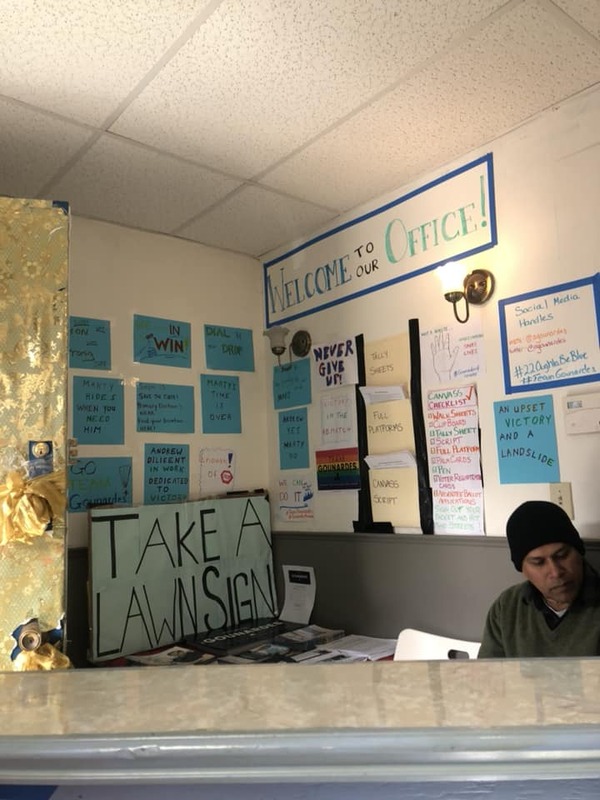 I partnered up with Jackson’s incredible campaign manager, Sara Newman, and we covered a massive turf with dozens of doors. 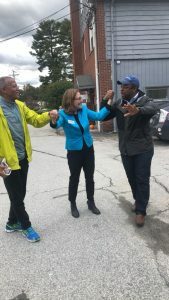 It was really exciting to get the opportunity to interact with voters, and many people seemed excited to get out to the polls, though not all were supportive of Smythe, Delgado, and Barrett. 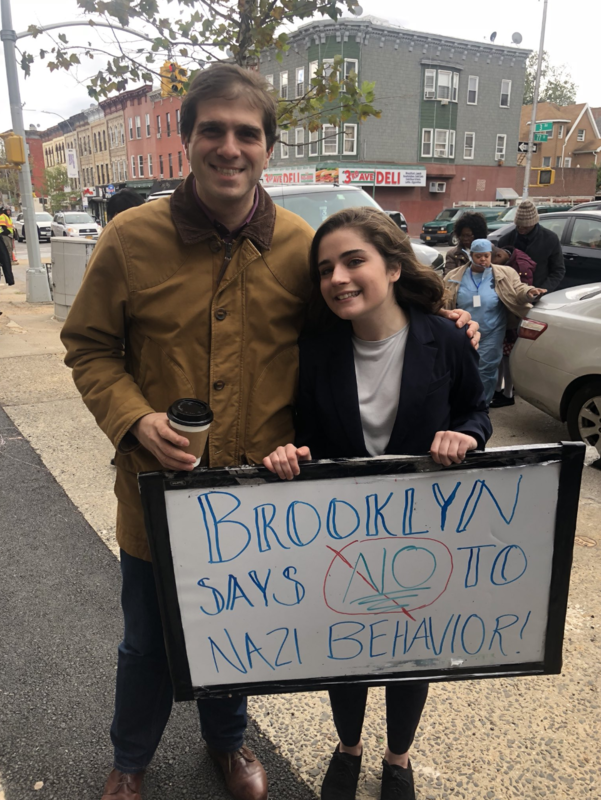 The Jackson campaign didn’t have major activity on Sunday, so I decided to take the train down to South Brooklyn to help out Andrew Gounardes, a Democrat running for State Senate against highly controversial Republican Marty Golden. In this race, the MTA has become a major issue, something I quickly realized, as my commute from Southern Westchester County to Bay Ridge, Brooklyn took nearly three hours each way due to subway shutdowns. Though this district is traditionally conservative, Golden has been criticized for not firing a staffer who is a known white supremacist, something that I find deeply concerning. The Gounardes campaign recognized this, and I was able to go with Gounardes to a rally against Golden’s complicity with white supremacist behavior. I also had the opportunity to run several phonebanking and canvassing trainings for new volunteers, as the campaign manager needed additional help ensuring that everything was running smoothly. It was really great to be able to help out volunteers who had never interacted directly with voters before; they were super excited to get out and do important work! On Monday and part of Tuesday, I returned to Washington Heights, and helped the Jackson campaign set up coordination with other important swing campaigns in New York. I also attended a phonebank for progressive Democratic candidates on Monday evening, which was really exciting. As someone who has spent an incredible amount of time working to make New York State Government more democratic, it was wonderful to return to my home state to try and create change before the midterm elections next week. My Jewett Grant was a great opportunity to learn about what teamwork and cooperation can create. While I already knew that working on a campaign required significant coordination and group work, it was really beneficial to gain the experience of helping to coordinate activity between campaigns. I could not be more happy that I had this amazing opportunity!